Valerian is a flowering herb that is native to Europe, Asia and the Americas. Its root extract is derived for use in foods or as an herbal supplement. The root can also be ground and used in teas or supplements as well. Historically, valerian was used as a sedative by the Chinese, Greeks and Romans. In modern times it has been touted to treat insomnia, anxiety and depression, according to Medline Plus. The live plant itself has little to no odor, while the ground root has a foul smell said to be similar to dirty socks. Consult your doctor before beginning supplementation of valerian, as possible side effects may occur. Valerian use should be halted two weeks before any surgeries entailing anesthesia use. Anesthesia slows down the processes of the central nervous system. Valerian has the same effect, and this combination can be dangerous to the patient. For this same reason, valerian should not be combined with alcohol use, as alcohol is also a depressant. Marked drowsiness may occur that could impact daily functions. Any other sedative use should not be combined with any valerian supplementation. According to the American Cancer Society, valerian should not be taken by someone with decreased liver function, or by any persons taking medications that are processed by the liver. Valerian is also metabolized by the liver and can slow the metabolism of other medications the liver processes. Weakened heartbeat and paralysis can occur in this situation if very high doses of valerian are taken. 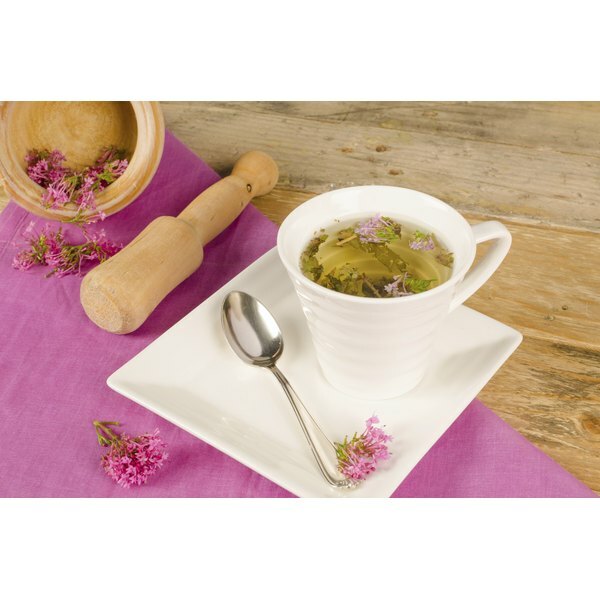 According to the American Cancer Society, liver damage linked to valerian use has been reported, although in these cases it is uncertain whether the damage was caused by the use of the root itself or other possible contaminants in the supplements or tea. Common side effects of long-term valerian use include, but are not limited to, blurred vision, heart palpitations, headaches, dizziness, gastrointestinal issues and nausea. In some cases excitability and insomnia have also been reported, which is a contraindication for purposes of use. Elizabeth Hartsock started writing professionally in 2010. She is an American Council on Exercise-certified personal trainer and a nationally certified Schwinn indoor-cycling instructor. Her articles appear on various websites. Hartsock earned a Bachelor of Arts in anthropology from the University of Florida and is pursuing a Bachelor of Science in dietetics from St. Petersburg College.